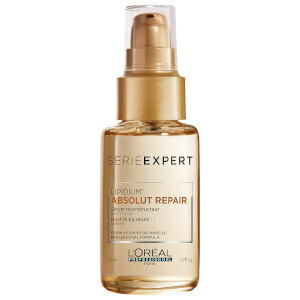 The L'Oréal Professionnel Absolut Repair Lipidium Shampoo, Conditioner and Sealing Repair Trio will leave hair feeling supple, replenished and restored. 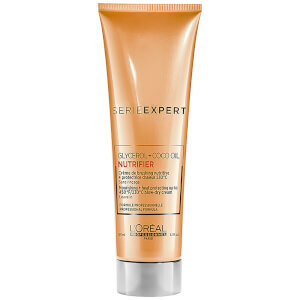 A high-performance hair serum that works to instantly rebuild the tips of your hair. Like skin, hair is made of different layers, that can suffer from lipid-deficiency. 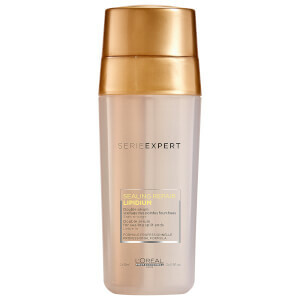 Loss of lipids are caused by chemicals, heat styling and external aggressors including sun, salt and chlorinated water. Lipid-deficient means hair may break easily, styling will become difficult, coloured hair will fade and textured hair will lose its bounce. 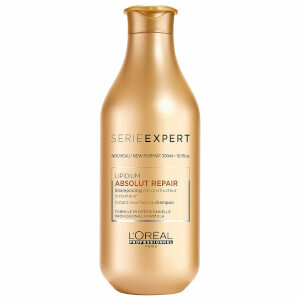 This technological breakthrough hair treatment contains the most reconstructing ingredients to replenish all hair zones and create an insulating barrier to lock in essential nutrients to restore healthy-looking tresses. Condicionador: aplique uniformemente no cabelo lavado com shampoo e enxuto com a toalha. Enxague abundantemente. Em caso de contacto com os olhos, lave-os imediatamente. Sérum: use antes ou depois de secar o cabelo com o secador. Aplique 1 a 2 doses desde as madeixas até às pontas para selar as cutículas do cabelo e conseguir uma sensação de suavidade duradoura.